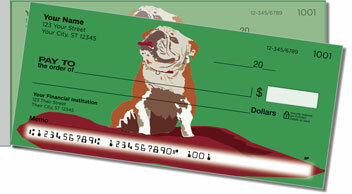 That's what delighted customers are saying about our Bulldog Side Tear Checks, and they're right, too! 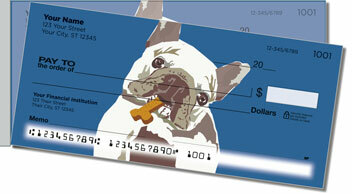 These adorable doggies are just the pick-me-up you need when it's time to write your personal checks! Use them to show your affection for the well-muscled but gentle canines who have drooled, snorted, slobbered and snored their way right into your heart! 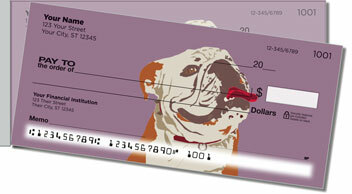 When you choose Bulldog Side Tear Checks from CheckAdvantage, you'll get a handsome set of bulldog illustrations but even better, you'll get the advanced functionality of our side-tear format, too! 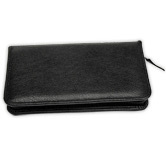 That's because their short-side perforation gives you superior leverage for a trouble-free tear, so your checks won't rip in the wrong place when you separate them from the pad. 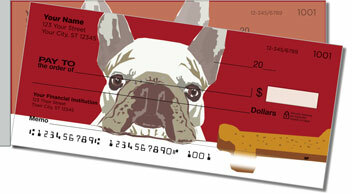 We also offer this fun design as a set of return address labels to match your new checks. Make them yours today!